Even the rowdiest cowgirls need to eat lunch. 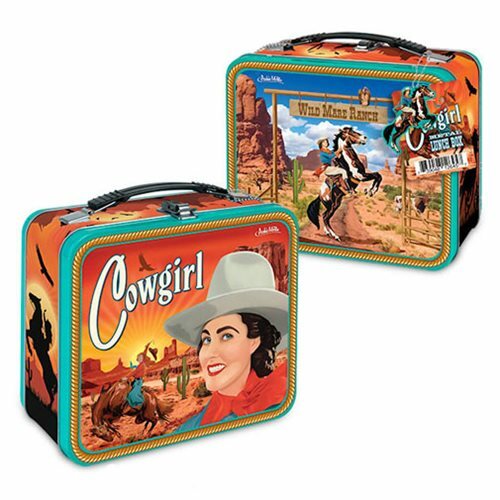 Pack yours in this Cowgirl Tin Tote featuring an illustration of a cowgirl riding a horse on each side. This tin tote is 8-inches x 7-inches x 4-inches and is attached to a plastic handle. It also comes with a vinyl cowgirl dangle. Don't leave for the homestead without it!